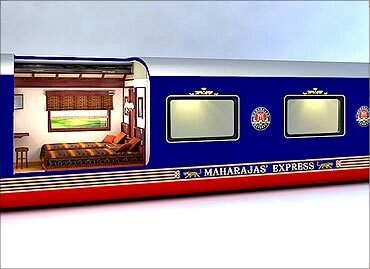 Rediff.com » Business » Travel on the Maharajas' Express @ Rs 1 lakh a day! 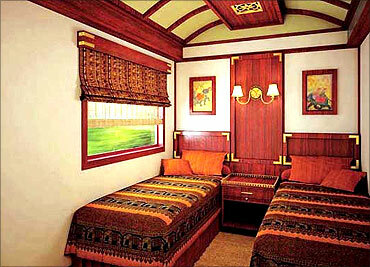 Travel on the Maharajas' Express @ Rs 1 lakh a day! 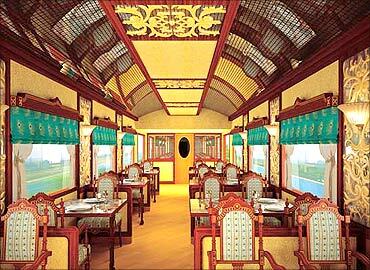 Travel like a king onboard India's super luxury train, the Maharajas' Express, for a fare ranging from Rs 36,000 ($800) to Rs 112,500 ($2,500) per day! It promises a royal experience, with five carriages for deluxe cabins, six for junior suites, two for suites and one for the grand presidential suite. This train is run by a joint venture between Indian Railway Catering and Tourism Corporation (IRCTC) and Cox and Kings India called Royale Indian Rail Tours Ltd.
Photographs: Courtesy: Royale Indian Rail Tours Ltd. Designed by the Integral Coach Factory, the train has cabins with individual temperature controls and LCD televisions, DVD players, direct dial telephone and high-speed Internet facilties. Accommodation is offered in double/twin bedded cabins, with meals, soft beverages, Indian wines, beer and spirits, butler service, guided off train excursions. The coaches have large panoramic windows. The rail fare includes entrance fees, camera fee, transport and services of a guide, complimentary tea, coffee and mineral water on board, porterage at stations, city tour and lunch/ dinner at the city of disembarkation. 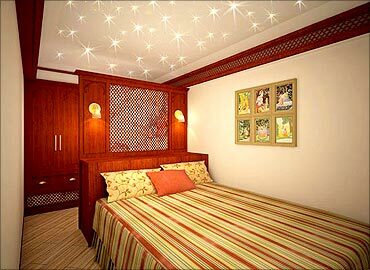 In-house movies and live television keep you entertained through the royal journey. 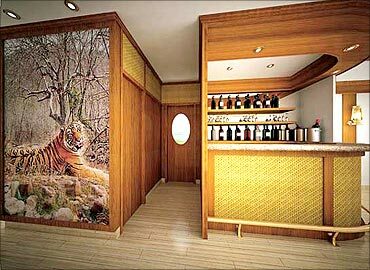 Every cabin also has its own electronic safe deposit box. 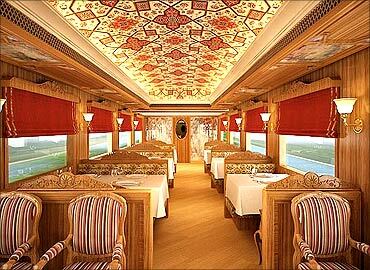 The Maharajas' Express is comprehensively insured for fire, earthquake, theft and terrorism. All guests are covered under an umbrella insurance plan. The train also has two fine dining restaurants, one bar, an observation lounge with its own bar, game tables and a comfortable club. 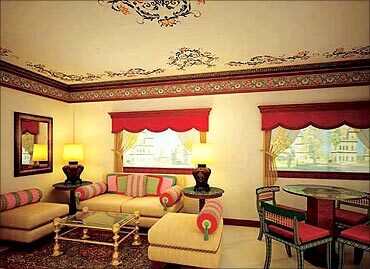 The Maharajas' Express also houses a high-end boutique that stocks exquisite creations. The train has a special suspension system for a smooth ride, environment friendly toilet system and direct dial telephones from each cabin. Each carriage is manned by a single butler, who assists guests at any time. You can choose from any of the royal packages. Mumbai-Nagpur by rail in 3 hours? Possible! China unveils world's fastest train, at 350 km/hr!